With every brand coming up with its own set-top box it is important to know that which device provides better and more facilities before making any decision. Apple TV and Amazon Fire TV are two of the most popular set-top boxes available in the market but they certainly have some differences which every buyer should know. Let’s see which one got an edge over the other. 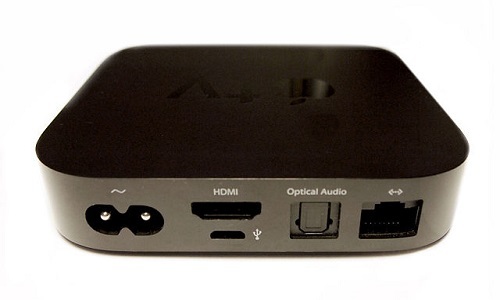 Apple TV – It is a solid black box with the usual black logo stamp on the top along with rounded edges. It comes with a wireless aluminium remote controller with black navigation wheels and buttons. Fire TV – The fire TV is also a black set-top box with black logo stamp. It has sharp edges rather than the rounded ones. It comes with a black remote controller with black buttons which also features a microphone for voice commands. It also comes with an optional wireless game controller. The game controller has angular matte designs with glossy buttons. Apple TV is lighter than Fire TV and is quite compact in size. They both are capable of HDMI video output in both 720 and 1080 pixels. Apple TV – It features a single core A5 chip (32 bit) with 512 MB of RAM and 8GB of disk space. It runs on Apple T.V. software version 7.0.2 which is based on iOS 8.1.1. Fire TV – It offers a 1.7GHz quad-core Qualcomm CPU with 2 GB of RAM and 8 GB of disk space. It is quite faster than Apple TV and is a better option to have a gaming experience which is not offered on Apple TV. It runs on Amazon FireOS 3.0 which is based on Android Jellybeans 4.2. Apple TV – It supports Wi-Fi connectivity and also has a Bluetooth port for Apple Wireless Keyboard. Fire TV – It also supports Wi-Fi connectivity and a Bluetooth 4.0 port. It also offers MIMO port which enhances your wireless speeds. Apple TV – It offers a variety of preinstalled apps that are available on the main menu for example Beats Music, Crackle, Disney Channel, Flickr, HBO GO, Hulu Plus, iTunes Radio, Netflix, Sky News, Vimeo, WatchESPN, and YouTube. It also offers iTunes which is considered to be the best platform for surfing music, television shows and movies. You cannot play optimised iOS apps on Apple TV. Apple TV also supports Airplay which lets you wirelessly stream what’s on your iOS devices to your HDTV. It also works with iCloud so you can download movies on your iPhone and watch on your HDTV. Fire TV – It’s main screen has categories for search, home, movies, TV, Watchlist, Video Library, Games, Apps, Music, Photos, Settings, and FreeTime. It also has a premium video list for subscribed users. Some more notable apps available include Hulu Plus, Watch ESPN, Crackle, Bloomberg TV, Vevo, and iHeart. You can certainly play optimised Android apps on Fire TV. Amazon has also confirmed to offer games from different publishers including Disney Interactive, EA, Halfbrick and more. These games can be played with a Bluetooth enabled game controller which is very responsive and easy to use. Amazon TV allows you to cast your content from your smart phone to your HDTV. It also provides you access to your photos and videos stored in Amazon Cloud Drive. Another cool feature offered in Fire TV is voice search. You can search for movies and music by title name, genre or by an actor’s name. Both the devices are kid friendly. They provide apps for the kids and have a particular corner for the kids whose interface is completely different from the main screen interface. It is something that the parents would definitely like for their children. Both Apple TV and Fire TV cost 99$ and are available in USA and UK. de. "Difference Between Apple TV V And Amazon Fire TV." DifferenceBetween.net. September 28, 2017 < http://www.differencebetween.net/object/gadgets-object/difference-between-apple-tv-v-and-amazon-fire-tv/ >.